Design/Assist Fast Track | E.E. Reed Construction, L.P.
E.E. 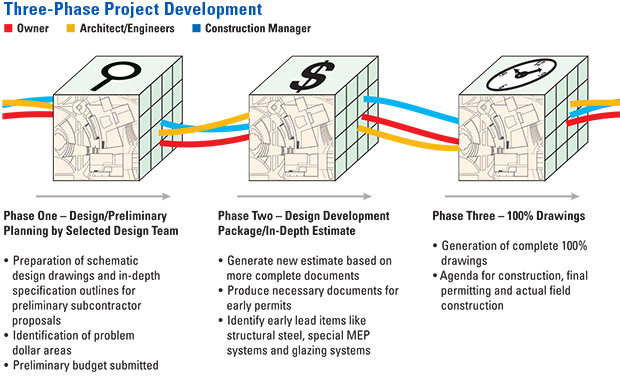 Reed Construction has for many years successfully employed the “Design/Assist Fast Track” construction management technique. The foremost principle in this concept is a team approach of the owner, architect and engineers and the construction manager with early and thorough communication between all team members.